My job is to be a storyteller; who better to learn from than one of the greatest storytellers of the 20th century? Stan Lee passed away this week. The middle-of-the-road company became the undisputed powerhouse, rivaling then surpassing D.C. Comics (home of Superman, Batman and Wonder Woman). 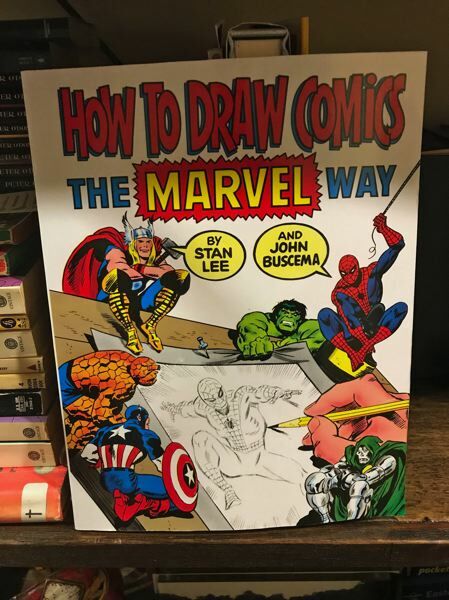 I'm too young to have been a fan of Lee's writing; by the time I started collecting, Roy Thomas and Gerry Conway were the big-time writers at Marvel, and Stan was the editor/publisher/boss. But still: It was his circus and they were his monkeys. If they brought joy to me, as a kid growing up in poverty in Idaho, I had Stan to thank for it. I keep my two careers fairly separate: I'm a newspaper journalist by day and a novelist by night (secret identity much?) I've published seven mystery and thriller novels, with an eighth out this March. And a lot of what I learned about plotting and "choreographing" action sequences, I learned from Stan Lee's Marvel comics. I've had novel editors, literary agents and critics tell me I write good action sequences. I should: I learned how to describe them because of the comics I devoured. Stan Lee is, I believe, one of the most influential writer of the 20th Century. And he has a pretty good shot to hold that title for this century, as well. He taught generations of writers, actors, artists, directors and others how to tell a great story; how to wring the most out of a character; how to make audiences gasp.